There’s no rental market in the United States quite like Greater Boston. Our rentals come in a huge variety of sizes and styles, with a wide range of market prices that vary dramatically based on the time of year. The market rent for a Boston apartment can drop as low as 30% in the off-season, depending on its location. And getting your money’s worth on your units during the off-season is even more difficult when those units have a higher bedroom count. The best way to do it is to list by the room, rather than by the apartment, which can increase returns by 10 to 30%. 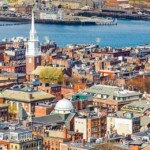 But listing Boston apartments by the room takes specialized software, strategy, and expertise about the process and paperwork. Here at Douglas Paul Real Estate, we have all three! While it’s easier to find tenants for studios and one-bedrooms, the odds are good that your rental property is much larger. 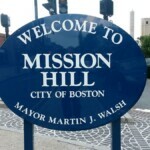 Most Boston apartments are two- to four-bedrooms, and some have up to six or larger. 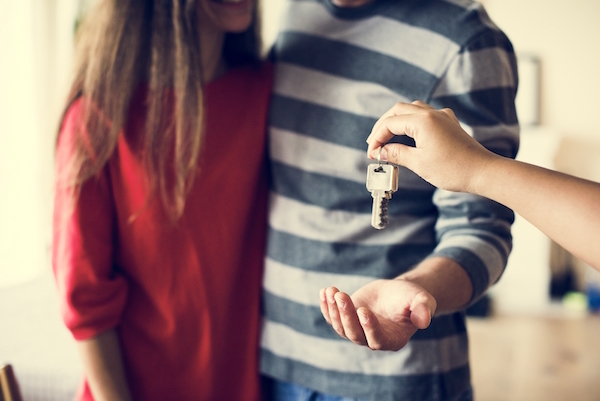 While landlords might tell themselves – and lease agreements may say – that roommate-hunting, subletting, and mediation are the tenants’ responsibilities; you can often find yourself dealing with these problems anyway. Why not make it work for you by listing rooms, rather than apartments and single-family homes, for rent? With Douglas Paul Real Estate and the Roommate Matching Database, it’s not just easier and less time-consuming, it can also be great for your returns. The Roommate Matching Database lists individual Boston rooms for rent and matches them with potential tenants based on lease terms like move-in date, length, and rent price. It also takes into account neighborhood, amenities, and roommate compatibility factors, which can lead to happier tenants who stay longer! This technology can market your property in any number of ways. Send us completely empty apartments, and we’ll match and pool a group of tenants for you. Find tenants for short-term sublets or long-term rentals. Fill just one empty room in an apartment that tenants already share. We can every type of roommate or rental challenge! And, since we’re real estate professionals, we can help with move-in paperwork, like leases and guarantor agreements, which can be trickier when roommate turnover and sublets are involved. We have your back every step of the way! But, the roommate database is just one element of the rental marketing services you can get from Douglas Paul. We cast a wide, yet strategically targeted, digital net to keep your vacancies as low as possible. Every property submitted to Douglas Paul Real Estate has the potential to be listed on more than 80 local listing sides, advertised on social media platforms such as Facebook and YouTube, and pushed through to national listing sites like Craigslist, Zillow, trulia Hot Pads, and more. If a platform supports your listing, this system puts it there. The knowledgeable real estate agents and staff are forever fine-tuning this digital marketing strategy, and can work with you to customize yours. In fact, give us a call! We’ll refer you to real-time data to help you optimize your strategy and potentially make more money with your Boston rental property. We’ve helped hundreds of Boston landlords increase their income while freeing up hours of their time every week. Fill out the form below to list Boston rooms for rent and step up your game today! At Douglas Paul, our advanced database system always provides the greatest exposure to the largest group of highly qualified tenants. Use the form below to rent a room your property or use our apartment listing form to rent a single property.